The vitamins and minerals in fruits and vegetables promote proper development of nerves and muscle tissue. Eating vegetables also helps maintain the health of your muscles and nerves, strengthening them and keeping them from breaking down. Both fresh and frozen vegetables impart health benefits. Eat a variety of fruits and vegetables daily for optimum health, recommends the Centers for Disease Control and Prevention. Folic acid, found in fortified orange juice and grapefruit juice, is essential to tissue development. Fortified juices may also contain calcium, which plays a role in muscle contractions and helps nerves function properly. Citrus fruits are also a good source of vitamin C, which promotes wound healing. 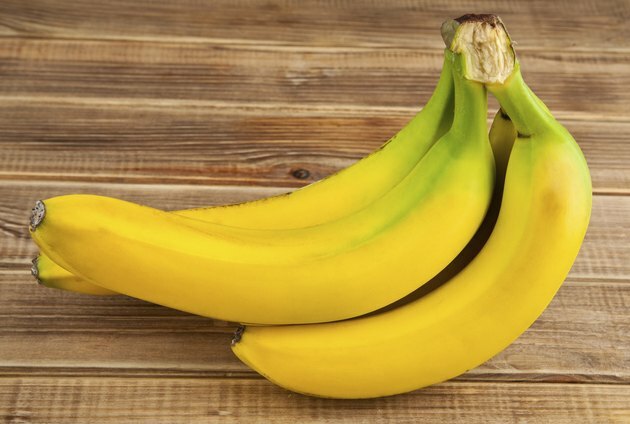 Bananas provide potassium, which helps your muscles contract. Potassium is also important for the health of your nervous system. Bananas are also a good source of B6. Cruciferous vegetables such as broccoli, cauliflower and brussels sprouts contain vitamin B6, important for proper nerve function. Cruciferous vegetables are also a good plant source of calcium. You need calcium for proper nerve and muscle function. Dark green leafy vegetables such as spinach, kale and chard are one of the few plant sources of magnesium. Your body uses magnesium to carry oxygen to your muscles and nerves so they can function properly. Leafy greens also contain folic acid and calcium. Potatoes provide potassium, which your body needs for proper transmission of signals from your nerves to other parts of your body. Potassium also plays a role in muscle contractions. Potatoes also contain B6 for nerve function.